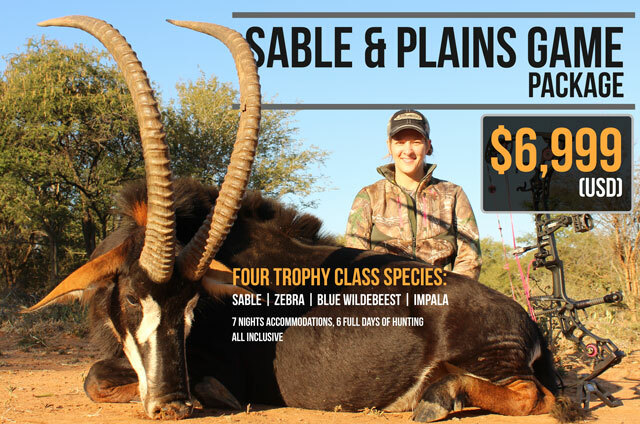 Check out our Safari Special Packge Plains Game Hunting in South Africa at an unbelievable price. If you have ever dreamed of an African Safari, there's never been a better time than right now. 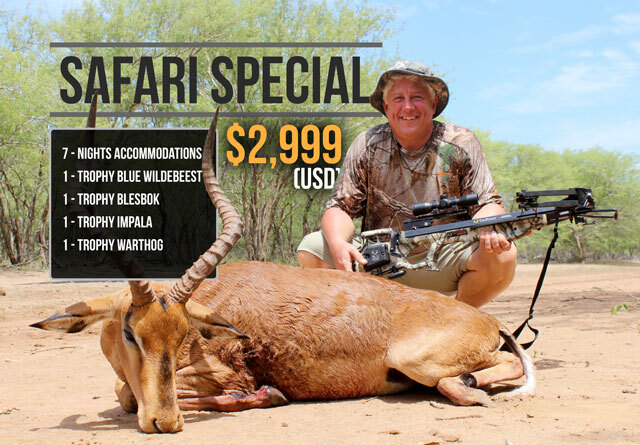 At Koringkoppie Safaris, the hunt you've always dreamed of is much closer than you might think. 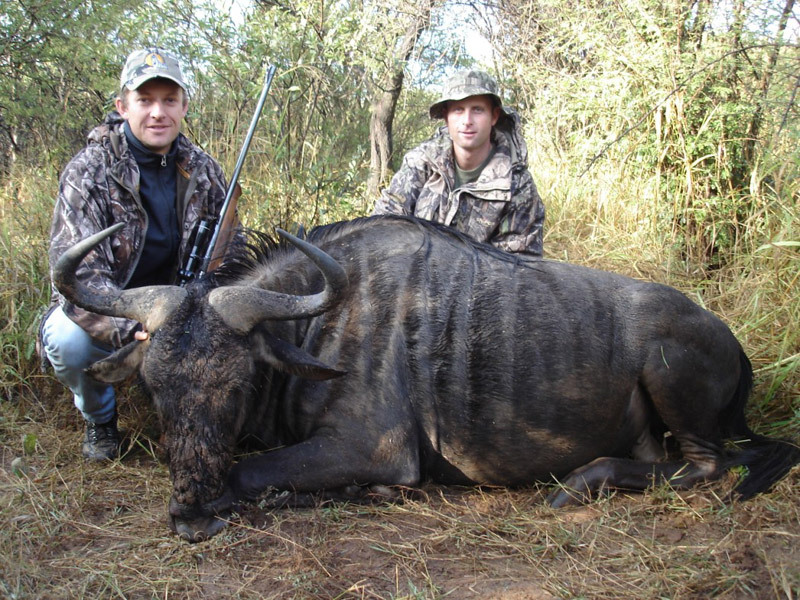 Koringkoppie Safaris offers high-quality trophy and management hunts on private land at affordable prices. 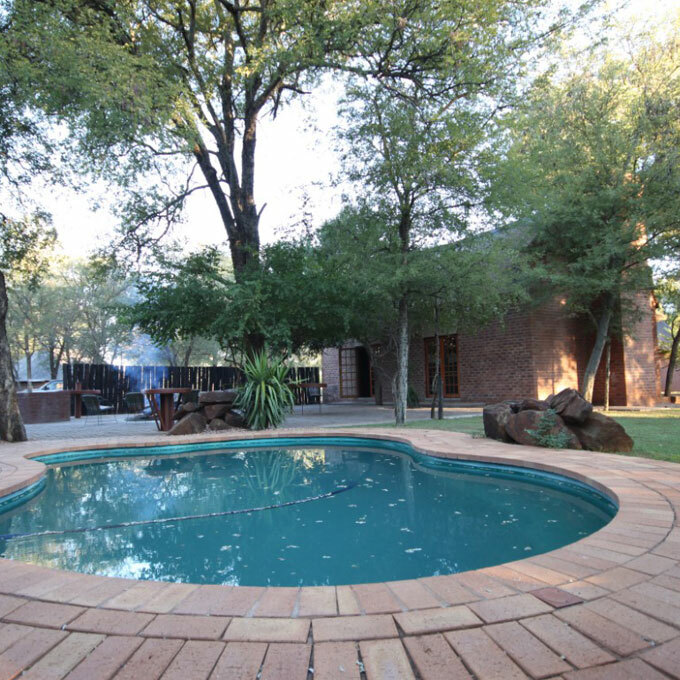 Koringkoppie Safaris is a family-run hunting camp in the Limpopo Province of South Africa. Our clients are our friends and we treat them like extended family. 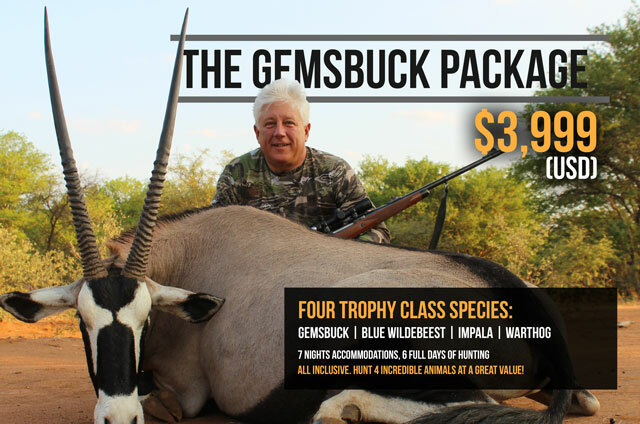 Our goal is to provide our clients with the most memorable, enjoyable, and affordable hunt possible. 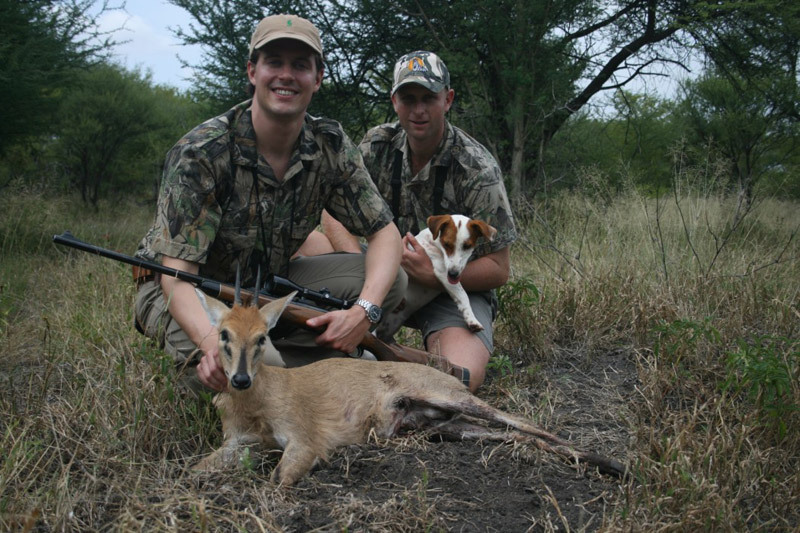 Koringkoppie Safaris provides skilled Professional Hunters, experienced trackers, and highly qualified butchers for trophy and meat preparation. 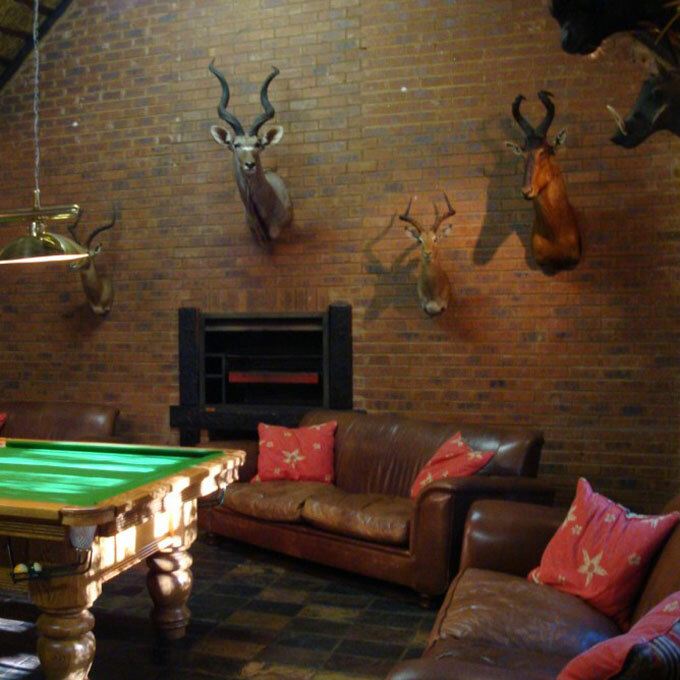 Our curteous and helpful staff will help you feel right at home, and the hunting is phenomenal. 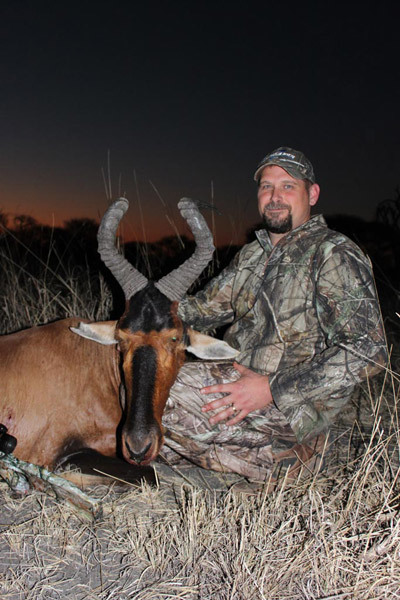 Dan Wallace and Karl Metzler, from Excalibur's Huntin' the Backwoods Television booked a hunt with Koringkoppie Safaris and harvested 10 animals in 8 days, including a beautiful trophy class Kudu bull. They filmed the whole trip for the television show. 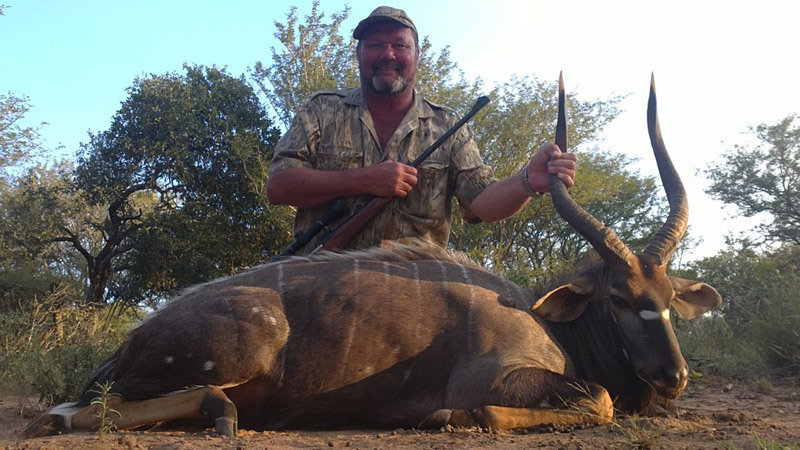 Watch their Kudu hunt to get a small glimpse of the Koringkoppie Experience. 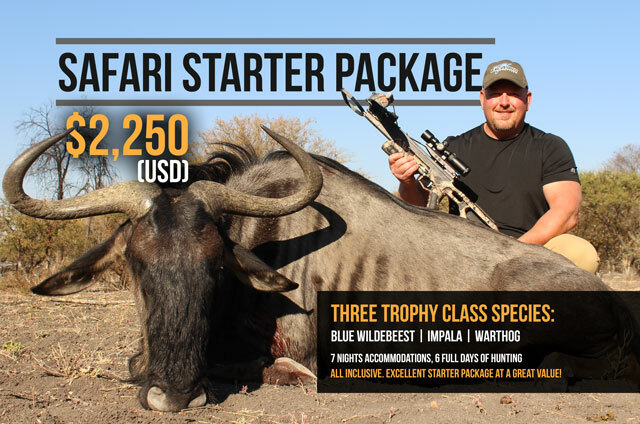 Our team of Professional Hunters and skilled trackers will provide you with a high-quality trophy or management hunt on over 7,500 private acres. 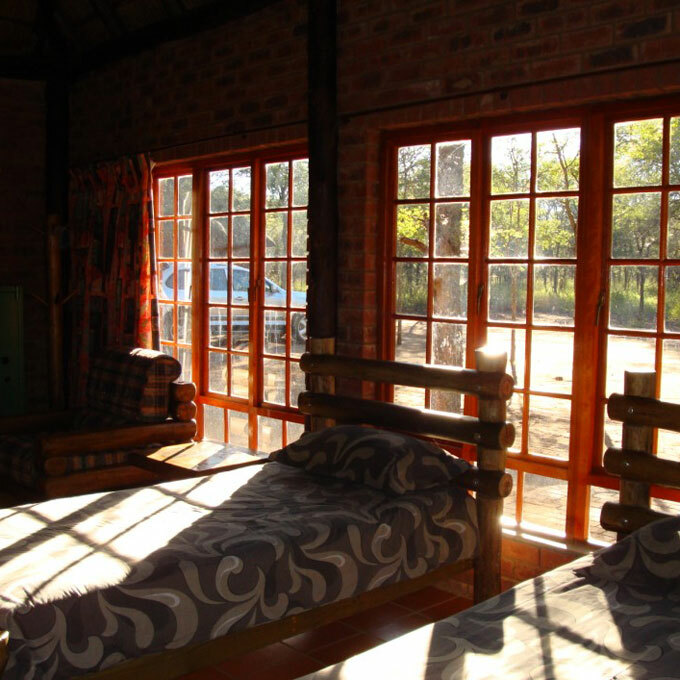 Koringkoppie Safaris can accommodate rifle hunters or bow hunters. 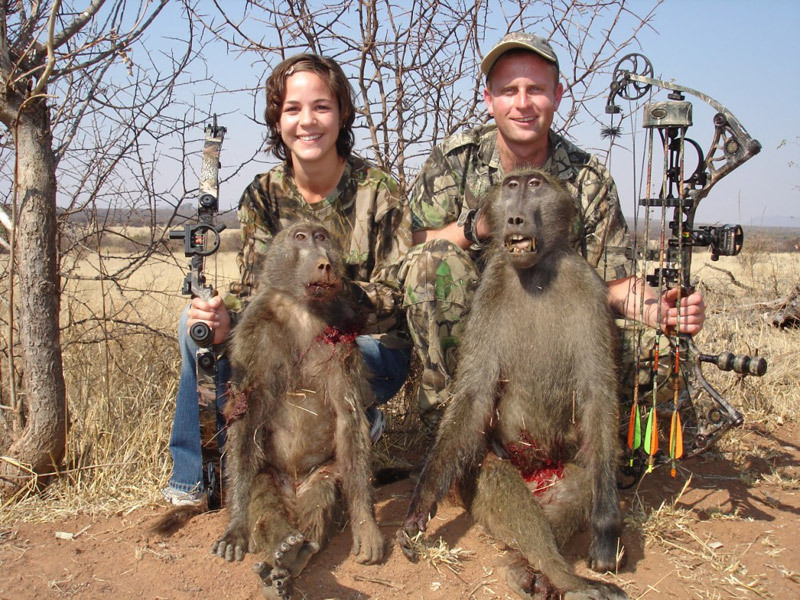 For archers we have spacious hides (blinds) positioned at water holes, or spot and stalk hunts may be arranged. The Bushbuck stands about 90cm tall at the shoulder and weighs between 45-80kg. Their light brown coat, white stripes and spiral horns make them a valued trophy. The Bushbuck is a mostly solitary animal, and mature males go out of their way to avoid each other. The Caracal is a fiercely territorial, medium-sized cat with distinctive black tufts at the tips of its ears. It is classified as a small cat, but is among the heaviest of all small cats, as well as the quickest. The Duiker is a shy and elusive animal, who prefers dense cover and thickets. Their name comes from the Afrikaans word for diver, referring to their tendency to dive into tangles of shrubbery for protection. The spiral-horned Eland is the largest member of the antelope species, with mature bulls reaching up to 1,000kg (2,200 pounds). 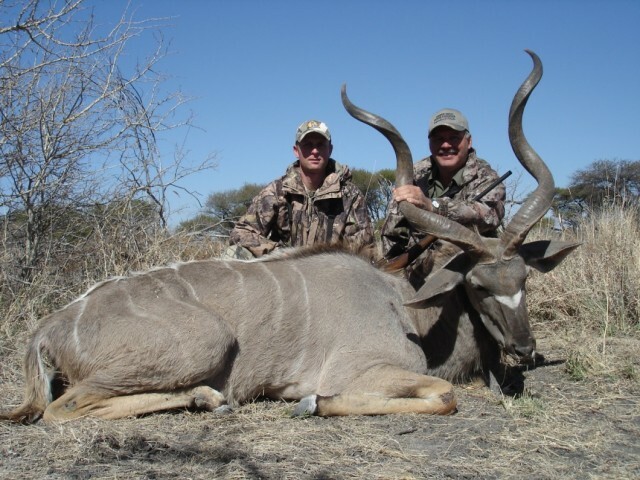 Eland are most active in the morning and late afternoon, and lie in shelter during the heat of the day. The Gemsbok is a large antelope native to arid regions of South Africa. Their muscular necks and shoulders, combined with the distinctive markings on the face accentuate their long straight horns and make them a prized trophy. 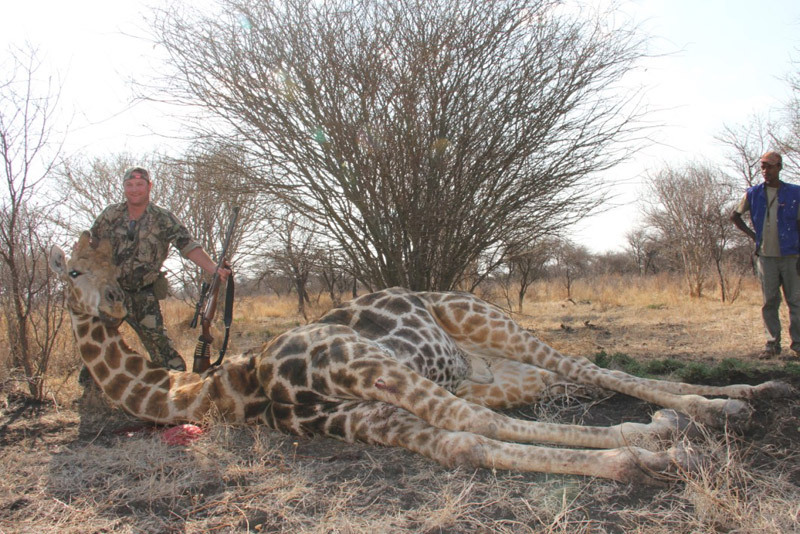 The Giraffe is the tallest terrestrial mammal, and weigh, on average, 1,200kg (2,600 pounds). Their extreme height allows them to browse vegetation other herbivores can't. The Jackal is an opportunistic omnivore. Their long legs and curved canine teeth are specially adapted for hunting small animals, and their large feet give them a physique well-suited for long-distance running. 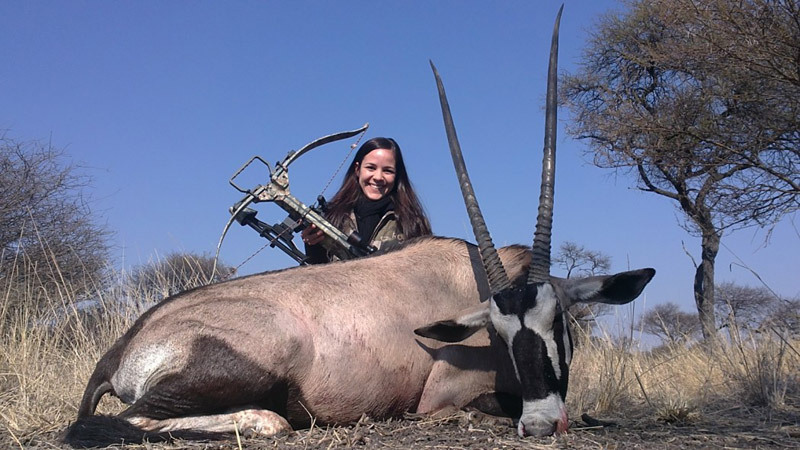 The Kudu's long, spiral horns and flowing mane make it a prized trophy among hunters. 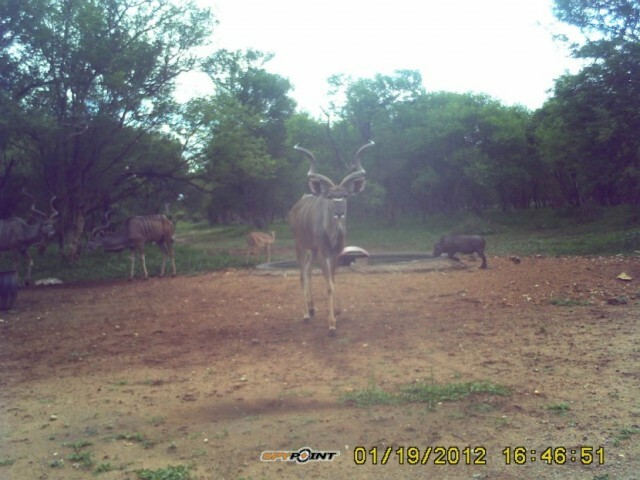 Kudu bulls are sometimes found in bachelor groups, but are likely to be solitary. Their brown and striped hides provide excellent camoflauge in brushy environments. The Nyala is a spiral-horned, dense-forest antelope, that is uncomfortable in open spaces and is most often seen at waterholes. Male Nyala stand up to 110cm (3.5 feet) and has loosely spiraled horns and a long fringe on his neck. The Red Hartebeest is a large antelope, with a reddish-brown coat and an elongated face. Both sexes have heavy ringed horns. On a mature bull, the horns will be paralle to their back and the tips will point outwards. 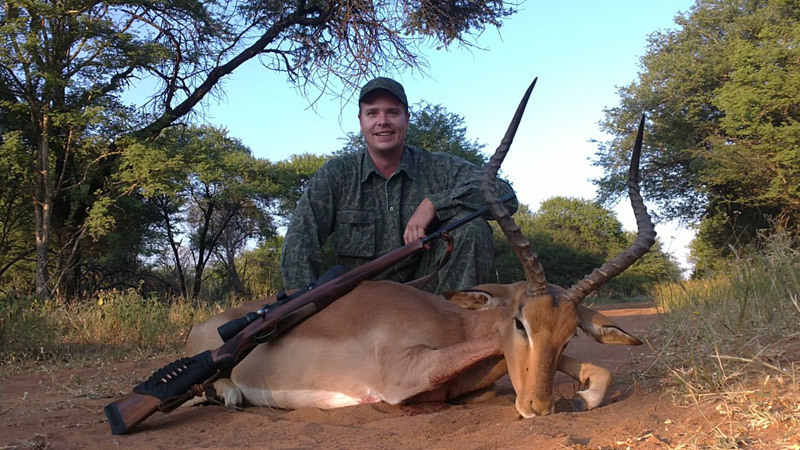 The Steenbok is a small antelope, standing only 45-60cm tall at the shoulder. Steenbok rams have straight, smooth, parallel horns that can grow 7-19cm in length. The Steenbok is almost entirely independent of drinking water, gaining the moisture they need from their food. 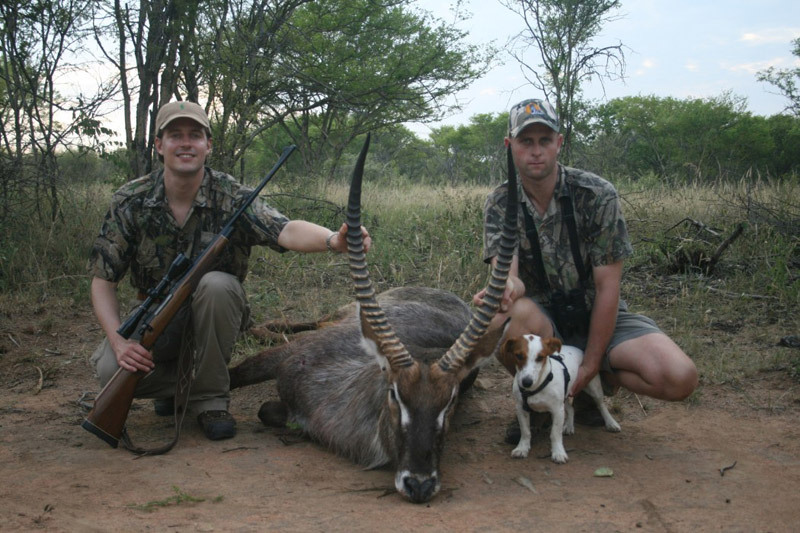 The Waterbuck stands between 120-140 cm (48-55 inches) at the shoulder and weigh as much as 200kg (440 pounds). Male Waterbuck have long, spiral-structured horns that sweep back and up. 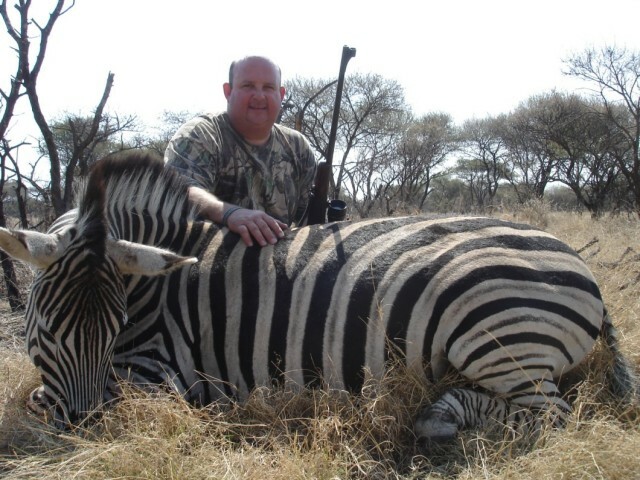 The Zebra is among the most recognizable animals in Africa. While their stripes help distinguish them, they also provide excellent camouflage, helping Zebra hide in the grasses they prefer. Zebra have excellent sight and hearing, along with an acute sense of smell.